If you’re ever worked as a web designer and web developer, then you must know about the importance of store your files and folders. Every time when any one visit your site, the server or the host will access that location where your files and folders exists and display the results on the screen. This is very important things because you upload your all files to that particular locations where server reaches easily and use at the time of need. Whenever you uploading your files and folders to any web host or any other third party sites, this will have an impact on some important things like your website loading speed, your SEO ranking in search engine, your all other abilities to make all the important adjustments to your site. Previously, almost every developers and bloggers would use the Google code which is look like their URL (http://code.google.com/host/files) etc to host their files because it’s look like so simple and easy to use. But Google announced many other features and deprecating all the other options like download for hosted projects, so I’ll recommended you to use Google Drive is the best. Google Drive gives you free account which is used everyone with their Gmail ID, and Sign in to their account, they provide 15 GB free space for every users to use. 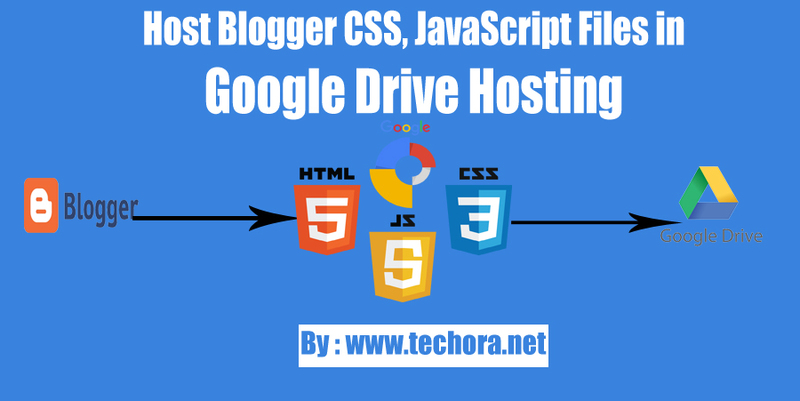 1 Why Should We Use Google Drive For Host Files? Why Should We Use Google Drive For Host Files? Before going further more, the first question arise in your mind, of why should we host files and folders on Google Drive? and what are their benefits. So below I’ll mention some important and useful benefits of Google Drive. Google Drive provide you the free space and freedom to use according to your taste and interest. You’ve a full freedom here to upload your files which you want and download them anytime. When Google launched this service with the name of “Google Drive“ they only provide 5 GB free space to their users. But after that they allow 15 GB free space that helps us more to use them for our development projects and hosts our files on here. Security is the main and one of the important options for any kind of businesses. If you’ve a tightened security then there is no fear. So Google also provides you the full security to your files, they also use protocols and HTTPs connections that make it more secure.So without any hesitation you can use this service. As everyone know about the Google, and it’s all services own by Google itself. So it is the most reliable and protective service which you use without any fear. It provides 100% up-time supports and access to your hosted files from anywhere in the world. AS Google web hosting service provide us the options to whether we links our files publicly or privately. You are able to share your files and folders with anyone from all around the world through some unique links. Anyone can comments, share and view your all documents, files, folders if you make them public. But if you want, no one can see out your files then always make it private. This is the best option ever in time, because everyone wants to get something best but totally free. So Google Drive is totally free and gives you 15 GB free space to hosts your files and folders, and this is the service of Google, so it is fully trustworthy service. If you use Blogger as a blogging platforms and your blog hosted on blogger, then you’ll know that for CSS style sheet, the <style> tag will be used as a start and end with </style> tags. All the CSS coding placed between these two tags in blogger templates. For HTML files, we use <html> tag at the start and </html> at the end tags. All he coding of HTML will be placed in between these two tags. So if you combines all these separated files in a single 1 file then it helps you a lot. It increase your website speed and improve your page loading time. It also helps search engines robots to crawling and indexing your site easily and smoothly. Step 1 – First of all go to “www.blogger.com” official website. Step 2 – Sign in to your blogger dashboard and select your blog. Step 3 – Go to your blog “Template” section and click on “Edit HTML” button. Before doing any task, first of all back up of your template and save into your PC hard drive. Step 4 – Now click on anywhere inside code, and press CTRL + F to find below tag. Step 5 – Copy the whole CSS code which is written in between two tags <b:skin>……</b:skin> . Check the screenshot below. After copy the whole CSS code, simply go to your PC desktop and make a new text file and paste all the css code inside it and save this file with the name of style.css or anyname.css . (.css) is the extension of CSS files. Check the Screenshot below. Step 6 – Now go to “Google Drive” site and log in to your account using your Gmail ID. Step 7 – Now click on the “New” button at the left sidebar top upper corner and a drop down menu list open, here click on “Folder” option. Step 8 – After clicking on “Folder” option, a pop up box appear, here enter your folder name and click on save button. Step 9 – So you’ve successfully create new folder. Now we upload our files on this folder. Simply drag drop files here or simply use “NEW” button in the left sidebar and from them click on the “File Upload” link. Step 10 – A pop up box appear, select your style.css file which we saved on our PC, and click on “Open” button. Step 11 – Now select your file and right click on it and select “Share” option or you can also go to your upper options bar and click on “Share” link as show below. Step 12 – After clicking on share option, click on “Advanced” link and below type of pop up box appear. Here click on “Change” option to change it’s setting. Step 13 – Simply select the “On – Public on the web” option and hit on “Save” button. Step 14 – So after making it public, now simply copy the link address and change it with given below example. As you copy the original link from your account. Simply change your link with this style that we use later. The blue color ID is the unique address for your file share link.Simply make your original link with this type and you’re done your work. Now here we use these external file links to our blogger blogs. For this purpose, follow below complete guide. Step 1 – Go to your blogger blog and click on “Template” link and click on “Edit HTML” button. Step 2 – Now copy the whole CSS code and delete it and simply replace with the below tags. In between this tag we use our external file which we uploaded on Google Drive hosting. For using the above link to your blogger template, follow the below syntax. Simply copy this tag and paste it just below the <head> tag in your blog template. You’re done your work, simply save your template and go to your blog and refresh it and check whether it is working well or not. If YES then congratulations, and if not work, then don’t worry, repeat the all steps carefully again, and check where you mistake. But if you done all the work right but it doesn’t work, then ask me in the comments section instantly. After that, use below syntax to make your JS Script file. Now simply copy this tag and paste it just after the <head> tag and save your template and check your blog whether it will working or not. If you need some more help, or you see some thing missing in this guide, then feel free to suggest me. I’ll make this guide more and more useful for you and others. If you like this then please share with others too. Thanks ! ! !